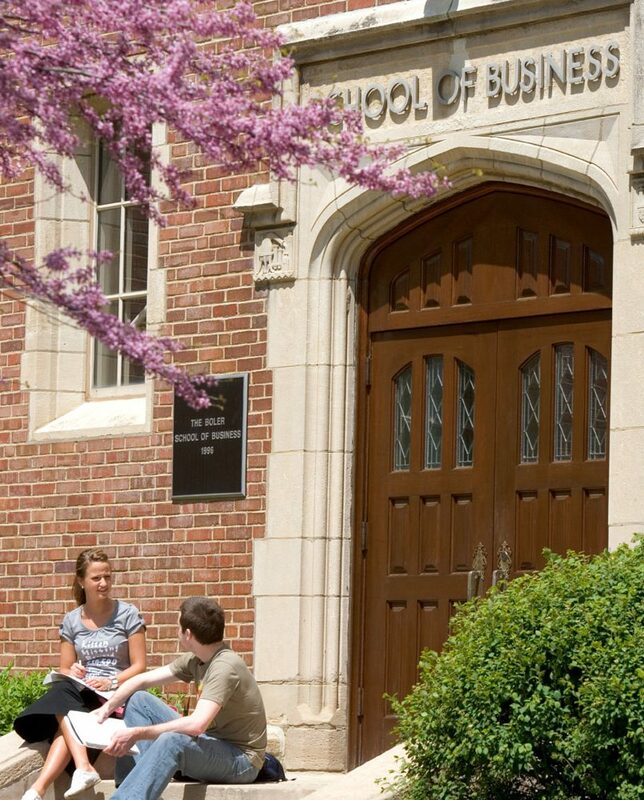 The programs of the John M. and Mary Jo Boler School of Business rank among the world’s best. Boler offers seven undergraduate majors in Accountancy; Economics; Finance; International Business with Language and Culture; Management and Human Resources; Marketing; and Supply Chain Management. The Boler School of Business offers the following graduate programs: Part-time Boler MBA, the Full-time (5th year) Boler MBA, the Master of Science in Accountancy, and the Master of Science in Laboratory Administration programs. The Boler School of Business is accredited by The Association to Advance Collegiate Schools of Business International (AACSB) at the undergraduate and graduate levels, as well as its accountancy program. This dual accreditation is held by less than 5 percent of business schools in the world. 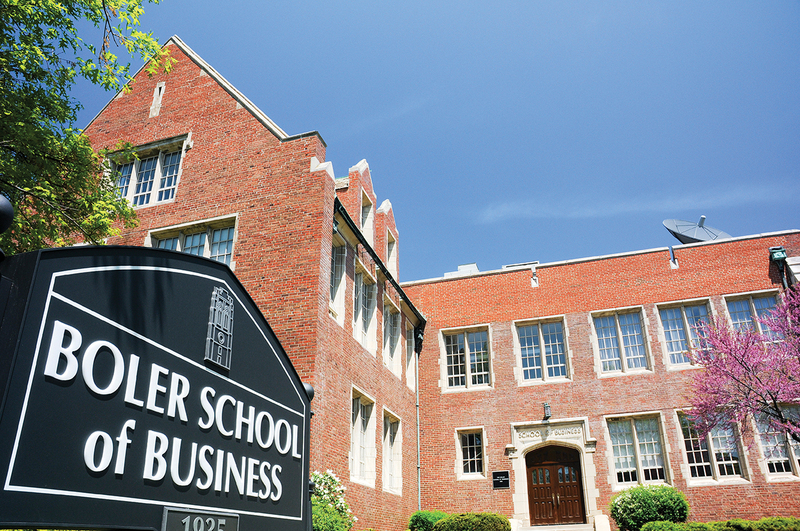 The Boler School consistently receives high marks in the world of business school rankings. Bloomberg BusinessWeek 2014 “Best Undergraduate Business Schools” issue ranks the Boler School’s undergraduate business program 5th overall in Ohio and 77th overall in the nation. The Boler undergraduate program also received an “A” from Bloomberg BusinessWeek for teaching quality. From London to Beijing, undergraduate and graduate students opportunities to study across the world for a semester or for shorter periods of time. The Pre-MBA Scholars program grants dual admission to John Carroll University’s undergraduate and 5th Year Masters of Business Administration programs for exceptional high school students at the beginning of their undergraduate career. The program is open to all students, regardless of their chosen major. John Carroll University accountancy graduates ranked 8th in the nation and 1st in Ohio in pass rates for first-time sitters on the 2014 CPA examination among medium-sized programs, according to recently released results by the National Association of State Boards of Accountancy (NASBA). A team of accountancy students from John Carroll University’s Boler School of Business earned second place and received a regional honorable mention award at the 2014 Deloitte FanTAXtic Regional Competition. Each year, approximately 50 percent of junior accountancy majors are employed in full-time internships during their spring semester. Most of the internships result in full-time job offers after graduation. Overall, accountancy generally places 100 percent of its graduates in jobs. Boler accountancy graduate Stephen J. Hruby ’12 was awarded the 2012 Elijah Watt Sells Award presented by the American Institute of CPAs. He is the first John Carroll graduate to receive this prestigious honor and one of only three graduates from an Ohio university to receive this year’s award. The last recipient from Ohio was in 2005. BSOB annually collaborates with the JCU Center for Service and Social Action and the Cuyahoga Earned Income Tax Credit Coalition to provide volunteer income tax preparation assistance to low-income taxpayers in February and March. Students, staff, and faculty participated in the program. Every hour of volunteer time on average was worth up to $4,500 to a low-income family.